This past week SURC reorganized their board. The new Chair is Tim Ebersole, Co-Chair Julie Hancock (Springdale Community Center), Secretary Emily Barajas (Xanterra/ZNP) and Treasurer Sue Ebersole. Other board members include Bill West (communications), Holly Hadley (education and outreach) and Nickie Heying (electronics recycling). Advisors to the board are Paul Roelandt (NPS), Susan Leslie (USDA FS) and Stephen Gwinn. If you are interested in joining SURC please contact our secretary at email: eberzorn@aol.com. SURC is a non-profit grassroots formed coalition of concerned citizens dedicated to promoting recycling efforts in our community through education and action. 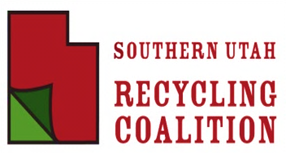 The mission of SURC is to model good recycling behavior, to promote conservation ethics, to provide opportunities for others to recycle, to research recycling needs and attitudes and to educate others about the full range of recycling benefits.